Dan Dorsa, associate vice president for research partnerships at OHSU, said the research and innovation partnership comes at a critical time for Oregon. “Now more than ever we must come together to solve serious health problems and build research capacity in the state,” he said. “By coming together, the whole will certainly be greater than the sum of the parts." What’s more, the teams are likely to remain engaged well beyond the life of the funding, said Peter Barr-Gillespie, interim senior vice president for research at OHSU. “These projects will not only spur discovery, but also engage students and help to shape the future of science,” he said. The seed funding program was announced in February. A call for proposals drew more than 40 applications from teams representing a range of disciplines. 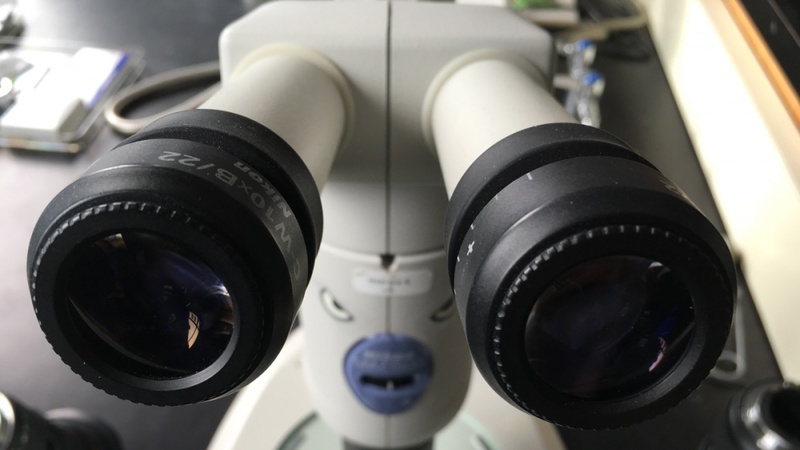 The program will increase the number of externally funded UO-OHSU collaborative projects, and reviewers sought out projects that are likely to result in new grant submissions and innovative products. The 10 interdisciplinary teams included OHSU and UO researchers focused on optogenetics, biophysics, neuroscience, chemical biology, biology in the built environment, reduction of health disparities and a host of other specialties. Projects could have potential life-changing effects on health outcomes in conditions ranging from cancer to Type II diabetes to obesity to mental health. Eventually, the teams will build on the seed grant activities to propose external funding requests to the National Institutes of Health, the U.S. Department of Justice, the MacArthur Foundation, the Templeton Foundation and other funders of research. Oregon Translational Chemical Biology Working Group — Kimberly Beatty, OHSU, and Michael Pluth, UO). Oregon Center for Law, Ethics and Neuroscience — Dennis Bourdette, OHSU, and Colin Koopman, UO. Translational Neuroscience of Substance Use and Behavior Change Across the Lifespan — Sarah Feldstein Ewing, OHSU, and Elliot Berkman, UO. Culturally Adapting and Pilot Testing a Values-Affirmation Intervention to Improve Diabetes Health and Management Indicators among American Indians with Diabetes — Michelle Jacob, UO, and Kelly Gonzales, OHSU. Nanohoops as New Materials for Multiplexed Biological Imaging — Ramesh Jasti, UO, and Xiaolin Nan, OHSU. Vascular mechanisms linking obesity and hypercoagulability following hemorrhagic shock — Belinda McCully, OHSU, and Ashley Walker, UO. Building Translational Bridges Between Human and Rodent Models of Development and Mental Health — Cristopher Niell, UO, and Damien Fair, OHSU. Developing Bio-Inspired Fractal Implants to Restore Vision to Patients with Retinal Diseases: In Vivo Studies — Richard Taylor, UO, and Trevor McGill, OHSU. Predicting Healthcare-Associated Clostridioides Difficile Infection Probabilities in Inpatient Units — Kevin Van Den Wymelenberg, UO, and Robert Martindale, OHSU. Addressing Disparities in the Assessment and Treatment of Communication Disorders for Young Children from Latino Backgrounds — Katharine Zuckerman, OHSU, and Lauren Cycyk, UO. The initial idea for the seed funding program emerged during a daylong summit that took place in April 2017 and included about 90 UO and OHSU researchers and institutional leaders. The group identified research topics where each institution has complementary strengths, discussed existing barriers to collaboration and brainstormed solutions. Awardees will meet for a second summit on Oct. 8, when they will hold a work session and present their projects to campus leaders. OHSU and UO are both developing major new research facilities thanks to unprecedented gifts from the same benefactor. The UO broke ground on the Phil and Penny Knight Campus for Accelerating Scientific Impact in March; OHSU broke ground last June in Portland on a new research building for the Knight Cancer Institute. OHSU and UO have both committed funds to the seed funding program for one year with the hope of future rounds of funding. Visit the OHSU-UO Partnership website for more information.